Holy Church prescribes blessed candles to be used at every Holy Mass—in conferring all the Sacraments—in public processions—at Benediction of the Most Blessed Sacrament—in all solemn functions and around the dead. 10. Burning constantly at the bed¬side of the dying. Being quite ignorant of my faith, I had only read of “Candlemas” in an Anglican setting. Now I know better. 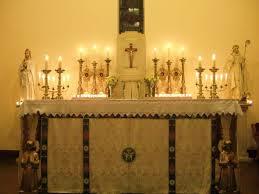 At Mass on Sunday, the priest gave an excellent sermon on candles and their use and symbolism in the Church. 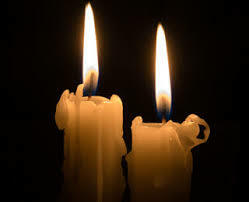 Much of it was what you have posted here, but there was one point I had never thought about that really struck me – how the candle is a representation of Christ. The wax, traditionally beeswax, was pure as He is pure. The wick symbolised his human nature, and the flame symbolised His divine nature; this being a good reflection of the hypostatic union. Now when I see a lighted candle I’ll always be reminded of this. And next Candlemas I’m going to have a stack of candles blessed!